John Taylor Caldwell, the third child of a family of six, was born in Glasgow on 14th July, 1911. The family moved to Belfast, but following his mother's death in 1925 they moved back to Scotland. According to one account, the children "endured semi-starvation and frequent beatings at the hands of their father and stepmother". Caldwell became a seaman and in May 1934 he met Guy Aldred and joined the United Socialist Movement (USM). Several members of the Independent Labour Party who had lost their belief in the parliamentary road to socialism joined the party. Other recruits included Helen Lomax, Ethel MacDonald and Jenny Patrick. Sir Walter Strickland, a long-time supporter of Aldred, died on 9th August 1938. He left Aldred £3,000 and with this money he bought some second-hand printing machinery and established The Strickland Press. 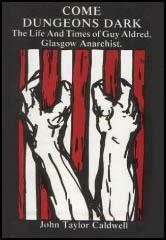 Over the next 25 years Aldred published regular issues of the United Socialist Movement organ, The Word and various pamphlets on anarchism. Caldwell, Patrick and MacDonald helped Aldred in this venture. Caldwell later commented: "The Strickland Pres had some hard times financially, for Aldred always worked to the limit of his capacity. He had little sense of market potential and over-printed enormously. He never estimated a cost to find a price, and consistently under-charged. He was lavish in the distribution of free copies, and conducted a postal mission which took The Word to most parts of the world where a glimmer of political awareness was manifest. But the price Aldred had to pay was a constant struggle to keep abreast of his creditors." Caldwell and Aldred were active in support of the Republicans during the Spanish Civil War. It has been argued: "The USM took an important part in all the political actions of its time, from support of the Spanish revolutionary cause in 1936-8, through the anti-war struggles of 1939-45... All this was achieved against a background of ever-present poverty, with barely enough money to eat, never mind provide meeting rooms or publish its propaganda. During the Second World War Caldwell was a conscientious objector. Caldwell shared a flat with Ethel MacDonald in Gibson Street, Hillhead. He later recalled: "Near the end of February 1958, Ethel Macdonald had what seemed a slight accident. She fell from a box on which she was standing to make an adjustment to one of the machines. She was more distressed than the accident seemed to justify, as if she knew that this was the onset of dreadful illness. She continued with her work at the Press, though within a few weeks she needed the aid of a stick. One of her legs seemed to be gradually losing its power." McDonald was diagnosed with multiple sclerosis and moved in with Aldred and Jenny Patrick. Aldred wrote: "Having rendered her legs useless, the disease spread to her arms. First her left arm, then her right - as though the virus possessed a malicious consciousness that caused it to gloat over its dastardly work. It was a painful business to serve her so anxiously and yet so purposelessly." Guy Aldred continued to promote social justice until his death on 16th October 1963. As one historian has pointed out: "Guy Alfred Aldred had worked ceaselessly at his propaganda, writing, publishing and public speaking, he took on injustices wherever he saw it. He had spoken at every May Day for 60 years except the years he spent in prison. He never once asked for a fee nor sought personal gain, throughout his 62 years of campaigning his principles never faltered." Caldwell devoted the rest of his life to promoting the work of Aldred. This included the publication of Aldred's unfinished autobiography, No Traitor's Gate and Caldwell's biography of Aldred, Come Dungeons Dark: The Life and Times of Guy Aldred (1988). 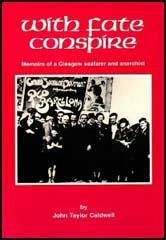 Caldwell's autobiography, Severely Dealt with: Growing Up in Belfast and Glasgow (1994). John Taylor Caldwell died on 12th January, 2007. The Strickland Pres had some hard times financially, for Aldred always worked to the limit of his capacity. He had little sense of "market potential" and over-printed enormously. He never estimated a cost to find a price, and consistently under-charged. He was lavish in the distribution of free copies, and conducted a postal mission which took The Word to most parts of the world where a glimmer of political awareness was manifest. But the price Aldred had to pay was a constant struggle to keep abreast of his creditors. He had constantly to appeal for funds. This position worsened when, the war over and the soldiers back at work, the Typographical Society refused to allow suppliers to serve The Strickland Press because it "employed women". Those responsible for imposing"the ban knew well that Ethel Macdonald and Jenny Patrick were not "employed" by the Press, and that whatever reason (if there could have been any) for not allowing women to work at the trade, the Strickland Press was a special case. Guy, Jenny and Ethel were veteran socialists, and they had all been in prison for upholding the cause of the workers. The phrase `male chauvinist pig' had not been coined in those days, but it is still not too late to have it engraved on the tombstones of the Typographical Society officials of that time.